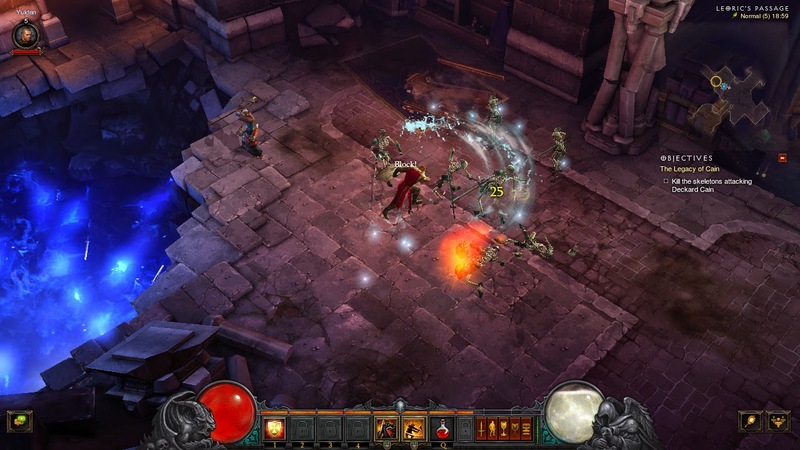 The original release of Diablo 3 put me in such a rage that I swore never to play it again and that was pretty easy seeing as there are true alternatives now - especially Torchlight 2, which I love. A friend though has been constantly nagging me to get back on and telling me how good everything has gotten since the expansion. I wouldn't believe it - didn't want to believe it; especially since I think that if you have broken your game and want to fix it that that fix should be FREE and not cost another 40€. Since then the price has dropped and the more we've been talking about it the more I was willing to give it a try - I try other games by paying for them so maybe I should give Diablo 3 one more chance and sink an earnest 40 hours into it and see how it is. The download and installation was once again excruciating - long and tedious and the first choices of how to play were confusing (adventure modes, rifts, story, season....). I started in Season 3 on my friend's recommendation and the beginning of the game was so mindless and boring (I couldn't have known which difficultly setting to take at the beginning) but that was somehow alright with me because it meant that I didn't have to concentrate in the evening since I was playing between 10pm and 1am after a day of work and putting the kids to bed. It was a good change of pace because I had been playing the Talos Principle and it was sometimes difficult to concentrate on late at night. Immediately the nostalgia sunk in: the first and second acts seemed specifically designed to do so. For a long time I struggled as I did before with the strangeness of their abilities and the lack of a skill tree and point system, the automatic level ups with the points added into your stats automatically. It's confusing if you're used to Diablo 2 and Torchlight. There are so many similarities to Torchlight 2 that I wonder if the guys had to leave some of their work and notes behind when they left Blizzard. There are some environment designs and inner game workings that seem simply too close to be a coincidence. My friend popped in once and a while with a high level character and busted ahead of the action killing everything in sight and that made me a little frustrated because I am enjoying playing slow and taking in the atmosphere and story. That's what Diablo 3 brings in spades: atmosphere. The music and environment, the lighting and naturally the amazing cinematic cutscenes which we've all come to expect from Blizzard. Some times the music is so good I find myself just standing around listening to it - and the colouring of their creepy nightmarish environments are so exquisite that I am taking hundreds of screenshots. Things do get a little mad in the game at times and it's difficult to tell what's going on, you can't rely on potion guzzling to get you through these times and need to build your character accordingly - though equipment (which is the true way to adjust and customize your character). 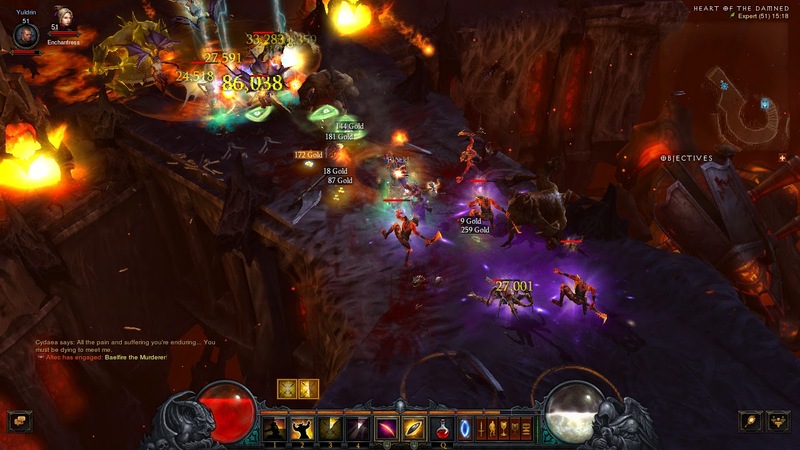 Yes, it is a better game without the auction house and it seems to be rebalanced - although I still think we are a little over powered and it's just about running through the levels gathering loot but there are a few things that Diablo 3 is still sorely missing: trades would be the first. Trading between characters doesn't seem to play such a big role anymore, everyone gets their own loot and much of it is "account bound" and therefore cannot be traded anyhow. I think this is strange in a time of social gaming because it really cuts down on the interactions between players. Shame. The second thing is still (in my opinion) viable character customization. There are enough combinations of skills and runes (that adapt the skill in someway) and it's fun to experiment and try to boost certain ones based on the equipment you have but you cannot switch those skills in battle (which is almost all the time) and you cannot switch equipment. You don't even have a way to switch between two weapons as in Diablo 2 or Torchlight. 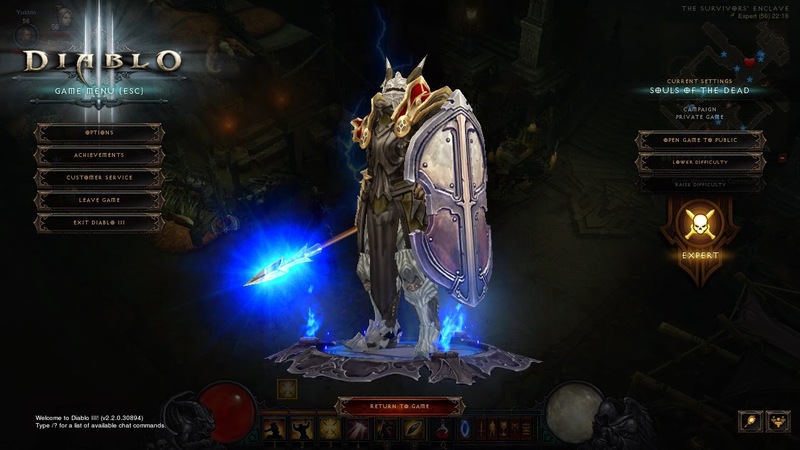 This would be great in Diablo 3 and I really don't get why it isn't there; it would help you deal with bosses and crowds and would make the characters much more flexible. I still have issues with Diablo 3 and especially the business model of Blizzard charging for a 'fix' of a completely broken game gambling simulator. Things are better though and I've already got my money's worth out of the expansion - now if I keep playing I might be able to get enough fun out of the whole experience to justify what I spent on the original game.